This photo from Cnet (taken during the PAX convention) is one of those happy little reminders that occasionally, those weird dreams of mine that occur after downing too much Mexican food, really do come true. 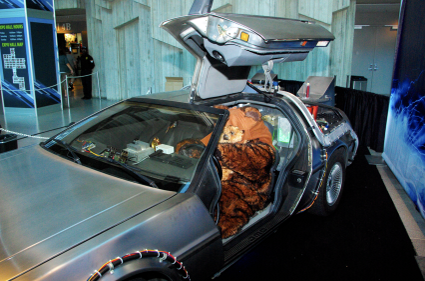 And yes, sometimes I dream of Wicket behind the wheel of Doc Brown’s DeLorean. I make no apologies. But, if you really want to experience some serious nightmare fuel that will haunt your dreams, then I suggest you watch the video after the break. Let’s just say it combines the Ewok celebration song and old-timey music.